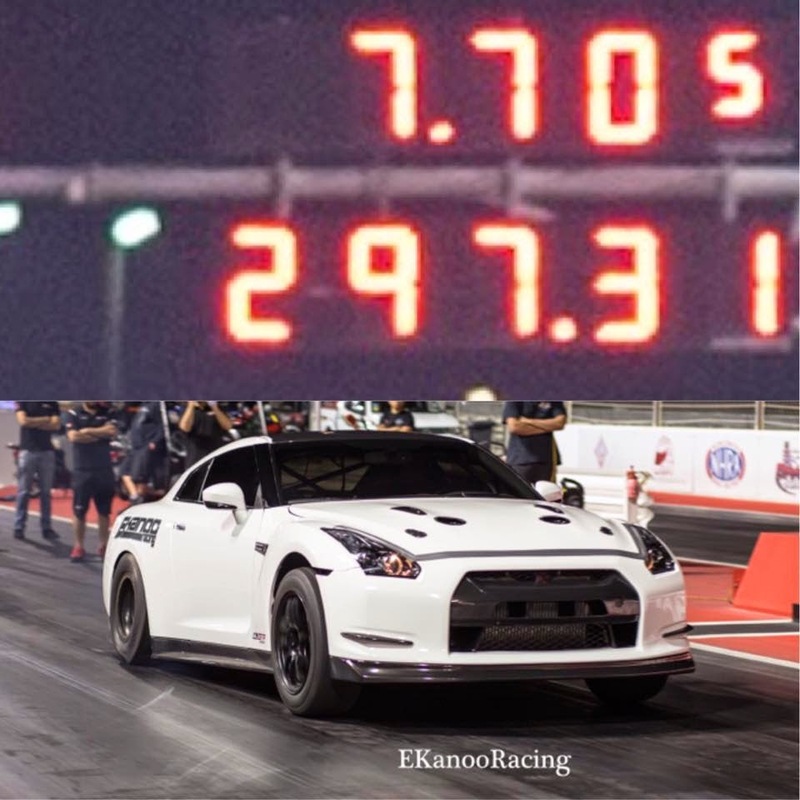 The EKanoo Racing R35 GT-R just ripped off a 7.705 @ 184.74 mph pass. Just a hairs width away from the AMS Alpha Omega's best pass of a 7.700. Check out the video below. Looks fast and straight.